The Biggest soccer publication in Africa! 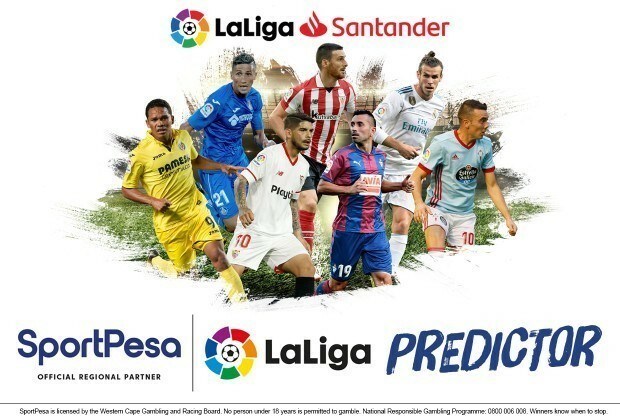 The leader in the latest local and international soccer news — Are You Top Of The SportPesa LaLiga Predictor? Here are the current leaders of our SportPesa LaLiga Predictor after Real Madrid beat rivals Atletico Madrid away from home and FC Barcelona dropped points! Do you have what it takes to win our SportPesa LaLiga Predictor? Sign up here! If you're playing the SportPesa LaLiga Predictor, make sure to make your 24th round picks now! If you haven't yet signed up to play, what are you waiting for? Sign up and be part of the game!